Placid Bay Inn is passionate about providing our guests with an exceptional level of service and hospitality. Our 36 years of operation as a family business has reinforced our belief that you can experience both: excellent service and quality accommodations at an affordable price. 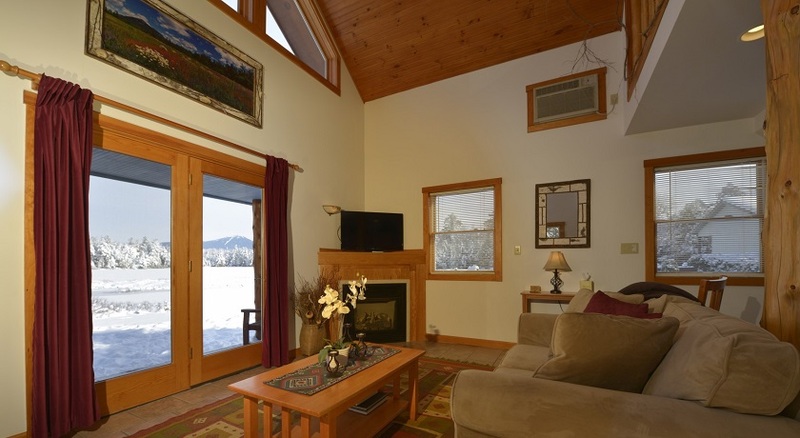 We are located directly on the shores of Paradox Bay of Lake Placid, with magnificent views of Whiteface Mountain. Our property provides free canoes, outdoor pool, picnic tables, Adirondack chairs for lounging by the Lake, beautiful gardens and numerous seasonal packages! We are only a 8-10 minute walk to downtown. Please call or visit our web site for all our discounted accommodations. GENERAL Cancellation Policy: In the event you must cancel part or the entire reservation, we will refund your deposit in full, less 10% handling fee, if you notify us 14 days for rooms/suites, and 30 days for cottages, prior to the arrival date. <p> SPECIAL EVENT (Such as Ironman) Cancellation Policy: In the event you must cancel part or the entire reservation, we will refund your deposit in full, less one night deposit, if you notify us at least 60 days prior to arrival. All balances for Ironman will be processed on May 1st. It is important to advise us of late arrivals or early departures well in advance. This notification is especially important because your deposit has been applied to the total number of days in your reservation. You are responsible for your accommodations from the first to the last day of the reservation unless you give us 14 days for rooms/suites, and 30 days for cottages, advance notice. Should you wish to extend your stay beyond the date specified above, kindly advise us as soon as possible. It may be possible for you to stay in the same accommodations, or move to another. Please advise us if you will have more then one vehicle per unit. Please print this confirmation out so you will have a record of your reservation to bring with you. If you need driving directions please go to our web site. Then click on the link for CONTACT US, you'll find driving directions and map of the village with our location. We look forward to having you as our guest! OTHER IMPORTANT POLICIES: -Placid Bay Inn's facilities are for registered guests only. -If there is a change in the number in your party, please notify us prior to your arrival. PLEASE NOTE: We reserve the right to refuse additional people. There is a limit to the number of people we permit in each accommodation. (Children of any age are people) -Please let us know if you will have more then 1 vehicle per unit. -If you have a Kitchenette room: NO Hot Plates are permitted, kitchenette rooms are not meant for full cooking. We also ask that you do not cook odorous foods. Non-Kitchenette rooms DO NOT permit cooking of ANY kind! There will be a $200 charge, plus any damages, for cooking in a non-kitchenette room! If you have rented a kitchenette,you are responsible for keeping the kitchen clean! There is a minimum of a $100 cleaning fee for cottages. If kitchen is not left clean there will be additional charges. Kitchenette rooms will also be charged this fee if not kept and left clean. Please note: as of Jan. 1st, 2014 we will be charging a 2% gratuity on your stay. There will be no gratuity charges on "retail" items. Rates/policies are subject to change and vary during high impact periods and special requests. *For some special events, or group bookings the cancelation period can be up to 60 days prior. Check-in: 3:00 PM - 9:00 PM. If arriving outside of check-in times, please call to make arrangements. Check-out: 11:00 AM. Absolutely No Smoking inside; however designated outdoor smoking areas are available. No Pets. Please call for help in making arrangements to board your pet locally. Thank you again for your reservation! Please let us know if we can be of further assistance before your arrival to make your stay as enjoyable as possible. Note: We have several wonderful packages that can be added to your reservation for your enjoyment. Our most popular packages include: Chocolate Decadence and the Cheese/Wine Welcoming Picnic Basket, along with our traditional Romance Packages. Give us a call or check out our website for more information. We look forward to seeing you! DEPOSIT POLICY: A deposit of half your stay, or 1 night, whichever is greater, will be charged to your credit card to confirm your reservation. IMPORTANT NOTE: COTTAGES WILL BE CHARGED THE BALANCE OF STAY 30 DAYS PRIOR TO ARRIVAL. IF BOOKING WITHIN 30 DAYS, YOUR DEPOSIT WILL BE PAYMENT IN FULL. SPECIAL NOTE: You will receive a second email confirmation from us once your credit card has been processed for the deposit if you book online. If you call us direct, only one (1) confirmation will be sent stating your deposit has been processed, and will also reflect the deposit. YOUR RESERVATION IS NOT CONFIRMED TILL YOU RECEIVE YOUR SECOND EMAIL CONFIRMATION FROM US, if you book online! If your travel plans change and you must cancel your reservation, please call us at (518) 523-2001. The Placid Bay Inn is an exclusive property where every guest reservation is both important and special to us. If you wish to Book more then two (2) rooms for the same dates, please call us directly. We do not take reservations for "groups" online. Our office hours are: 9:00 AM-9:00 PM, PLEASE CALL THE DAY OF ARRIVAL, FOR ROOM INSTRUCTIONS, IF ARRIVING AFTER 9PM, WHEN OUR OFFICE CLOSES. (518) 523-2001 IF YOU MUST HAVE A GROUND FLOOR ROOM PLEASE LET US KNOW THIS AT TIME OF BOOKING! DEPOSIT POLICY: A deposit of half your stay, or 1 night, whichever is greater, will be charged to your credit card to confirm your reservation. IMPORTANT NOTE: COTTAGES WILL BE CHARGED THE BALANCE OF STAY 30 DAYS PRIOR TO ARRIVAL. IF BOOKING WITHIN 30 DAYS, YOUR DEPOSIT WILL BE PAYMENT IN FULL. SPECIAL NOTE: You will receive a second email confirmation from us once your credit card has been processed for the deposit if you book online. If you call us direct, only one (1) confirmation will be sent stating your deposit has been processed, and will also reflect the deposit. YOUR RESERVATION IS NOT CONFIRMED TILL YOU RECEIVE YOUR SECOND EMAIL CONFIRMATION FROM US, if you book online! If your travel plans change and you must cancel your reservation, please call us at (518) 523-2001. GENERAL Cancelation Policy: In the event you must cancel part or the entire reservation, we will refund your deposit in full, less 10% handling fee, if you notify us 14 days for rooms/suites, and 30 days for cottages, prior to the arrival date. SPECIAL EVENT (Such as Ironman) Cancelation Policy: In the event you must cancel part or the entire reservation, we will refund your deposit in full, less one night deposit, if you notify us at least 60 days prior to arrival. All balances for Ironman will be processed on May 1st. It is important to advise us of late arrivals or early departures well in advance. This notification is especially important because your deposit has been applied to the total number of days in your reservation. You are responsible for your accommodations from the first to the last day of the reservation unless you give us 14 days for rooms/suites, and 30 days for cottages, advance notice. Should you wish to extend your stay beyond the date specified above, kindly advise us as soon as possible. It may be possible for you to stay in the same accommodations, or move to another. Please advise us if you will have more then one vehicle per unit. Please print this confirmation out so you will have a record of your reservation to bring with you. If you need driving directions please go to our web site. Then click on the link for CONTACT US, you'll find driving directions and map of the village with our location. We look forward to having you as our guest! OTHER IMPORTANT POLICIES: -Placid Bay Inn's facilities are for registered guests only. -If there is a change in the number in your party, please notify us prior to your arrival. PLEASE NOTE: We reserve the right to refuse additional people. There is a limit to the number of people we permit in each accommodation. (Children of any age are people) -Please let us know if you will have more then 1 vehicle per unit. -If you have a Kitchenette room: NO Hot Plates are permitted, kitchenette rooms are not meant for full cooking. We also ask that you do not cook odorous foods. Non-Kitchenette rooms DO NOT permit cooking of ANY kind! There will be a $200 charge, plus any damages, for cooking in a non-kitchenette room! If you have rented a kitchenette, you are responsible for keeping the kitchen clean! There is a minimum of a $100 cleaning fee for cottages. If kitchen is not left clean there will be additional charges. Kitchenette rooms will also be charged this fee if not kept and left clean. Please note: as of Jan. 1st, 2014 we will be charging a 2% gratuity on your stay. There will be no gratuity charges on "retail" items. Children of all ages are to be included with reservation.